The hippocampal theta activity represents the oscillatory field potentials within the range of 4–10 Hz, which mainly appears during wakefulness and rapid eye moment (REM) sleep. The synchronization of theta activity between the hippocampus and other parts of the brain is essential for learning and memory. Theta waves can be recorded from the different cortical areas, which exhibit a consistent phase relationship with hippocampal rhythmicity. It has been postulated that the synchronized theta activity in the cortico-hippocampal networks could be essential for communication of memory information between hippocampus and cortex. It is, however, not known if the dorsal hippocampus (DH) contributes in propagating theta waves in the cortical network. In this study, we have investigated the effects of DH lesion on theta activity during different vigilant states in the frontoparietal cortical network. Rats were surgically prepared for chronic polysomnographic recordings and drug injections. After recovery from surgery, animals were divided into two groups: (a) DH-non-lesioned and (b) DH-lesioned groups. DH was lesioned with microinjection of ibotenic acid. We found that the DH neuronal damage did not significantly alter cortical EEG theta activity. 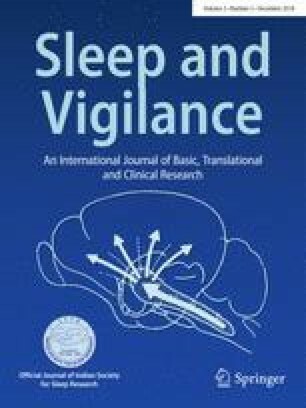 There were only marginal changes in the power of theta (5–9 Hz) and high-frequency oscillatory waves (10–40 Hz) that too only during REM sleep in the DH-lesioned animals. Although the hippocampal theta rhythm plays an important role the cortical–hippocampal synchrony, it is likely that in the absence of DH, the cortical theta oscillation can be modulated by some non-hippocampal theta generators such as the septum-diagonal band of Broca or the supramammillary body. This work is supported by DBT, DST (PURSE), UPOE-II, UGC-CAS and UGC-Resource Networking, ICMR funds from India. DK: performed the experiments, generated and analyzed the data, prepared the manuscript. SJ: conceived the idea and designed the work, analyzed the data and finalized the manuscript. We disclose no conflict of interest. The funding agencies have not played any role in research design, data collection or data analysis.